As Nickelback prepares to launch its 9th record, Feed the Machine, the bandmembers reflect on their journey through the songs that got them there. For over 20 years Nickelback has been Canada's biggest rock 'n' roll export. Now, as the band prepares to launch its ninth record, Feed the Machine, the members reflect on their journey through the songs that got them there, built their fan base, and enraged their critics. They've survived this long because they've made songs for the former, not the latter. "We're not a cool indie band, we're not Arcade Fire," says frontman Chad Kroeger. "You're supposed to like those bands because they're hip, they're indie [...] I don't think you're supposed to like us." 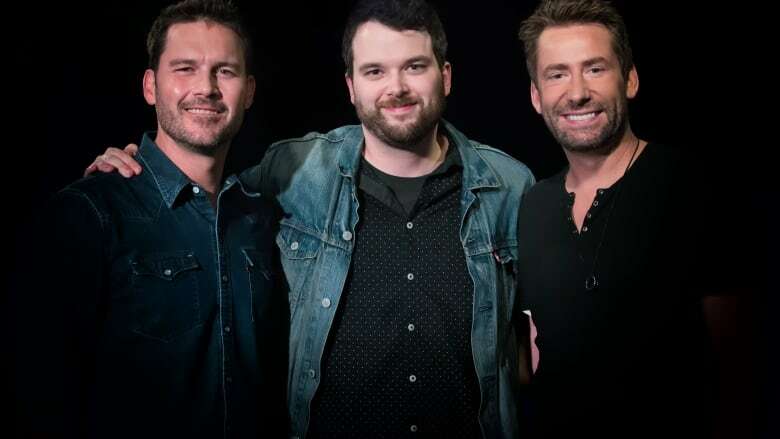 Tom Power talks to Kroeger and guitarist Ryan Peake about coming from Hanna, Alta., touring endlessly, playing bars, clubs, small festivals and grinding it out as a band before releasing their breakthrough single, "How You Remind Me." Nielsen Sound Scan said it was the most-played song on American radio in the first decade of the 21st century. Peake and Kroeger talk about their creative relationship, which now spans two decades and has yielded songs like "Far Away," "Photograph" and "Rock Star." They reflect on the ingredients to their longevity and how they deal with their numerous critics. "Honestly, I even think the critics like Nickelback," says Kroeger. "I honestly do. ... It's not like it's bad music, it's just music. … We're that guilty pleasure." He then goes on to tell a story about how a Rolling Stone critic once confessed to him that his editor made him change a favourable article about the band. They will also perform songs from their new record, including "Song on Fire." Nickelback is about to head out on an extensive North American tour beginning on June 23 and ending Oct. 1. See the full list of concert dates here.